“When I went to the United States, to do my Masters, I was the only black person in my class, the only female, and the only foreigner. On top of that I had two small children. It was not easy. However, with determination and hard work, I was able to do exceedingly well in my studies, ” says Dr Mary Mgonja, the Head of the Alliance for a Green Revolution in Africa (AGRA). 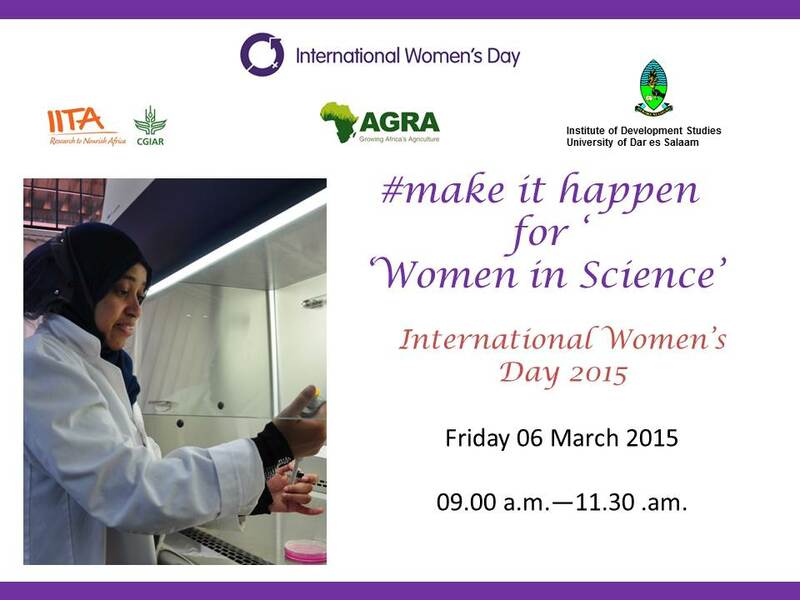 Dr Mary Mgonja, Head of AGRA in Tanzania sharing her journey to becoming a scientist. 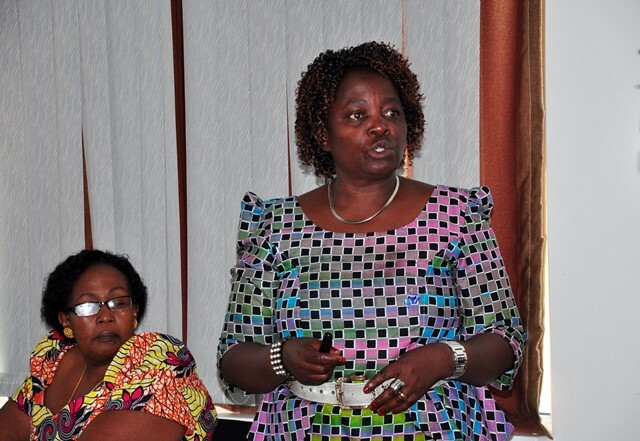 Next to her is Dr Rose Shayo from the Institute of Development Studies, University of Dar es Salaam. The panel discussion brought together female researchers in Tanzania working in diverse research fields and at various levels of their career―those starting out and those at their peak to discuss and share their stories, successes, and challenges before an audience of IITA researchers and partners, the media, and aspiring young scientists drawn from surrounding secondary schools. The panel members: From left, Dr Francesca Nelson, Dr Costancia Rugumaru, Ms Mary Maganga, Dr Rose Shayo, Dr Mary Mgonja and Ms Eddah Mushi. 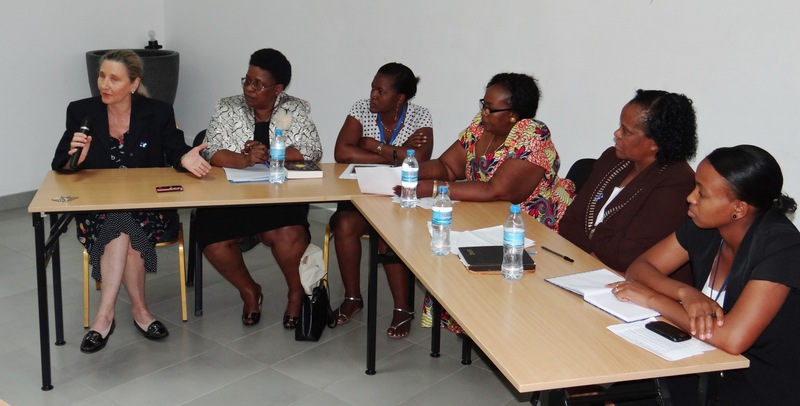 In addition to Dr Mgonja, the other panelists were Dr Costancia Rugumaru, Dean, Faculty of Science at the University of Dar es Salaam, School of Education; Dr Francesca Nelson, Senior Food Security Specialist, IITA; and Mary Maganga and Edda Mushi, both Research Supervisors at IITA. 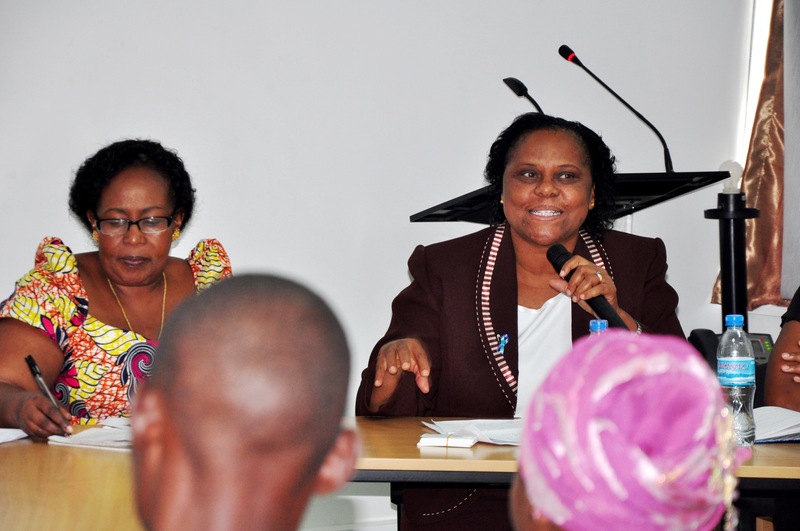 The session was facilitated by Dr Rose Shayo, a Senior Lecturer at IDS. 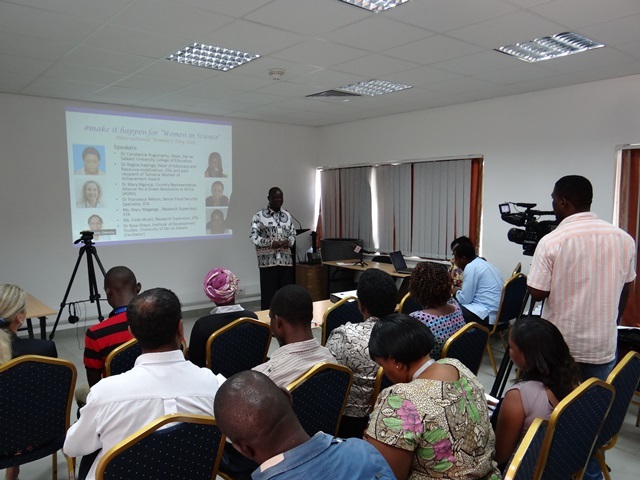 All the panelists shared on the various challenges they had undergone and the lessons they had learned along the way and offered words of encouragement to potential female scientists on the theme that kept repeating itself―hard work. “In all the places you will work, be yourself, respect your superiors, and do your job well,” said Dr Regina Kapinga who will be joining IITA as Head of Advocacy and Resource Mobilization from the Bill & Melinda Gates Foundation. Dr Kapinga shared her journey from a simple village girl to working as a Senior Program Officer with the Gates Foundation. Dr Kapinga shares on her journey from a simple village girl to an international researcher in Seattle, USA as the facilitator, Dr Dr Rose Shayo looks on. 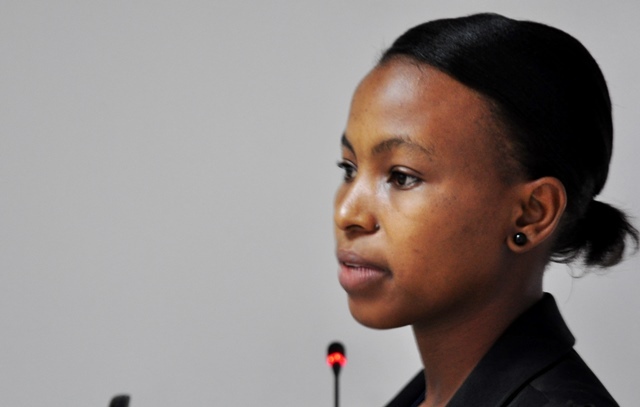 “One of my biggest challenges was the lack of facilities to study science in my high school. We did not have laboratories and equipment, however, I persevered, did well, and processed to the university to pursue my degree in agronomy. At the university, we were very few students as many women said agronomy was very hard,” added Edda Mushi, on her challenges in school. Dr Franscesca Nelson focused on the importance of tackling existing social conventions which were disadvantageous to women. These included issues such as violence against women and discrimination of women that were deeply rooted in cultural beliefs and social norms. She also noted it was important for female researchers to use their knowledge and skills to find solutions to the challenges faced by poor rural women. For example, developing labor saving equipment and tackling inequalities. While officially opening the event Dr Victor Manyong, IITA Director for Eastern Africa briefed participants on gender issues at the Institute. He said gender was very important to IITA as an international research organization whose goal was to tackle hunger, poverty, and malnutrition in sub-Saharan Africa. “We cannot address poverty, hunger, and malnutrition in Africa without understanding and addressing the constraints faced by women farmers who in most communities provide the majority of agricultural labor on the family farm, and process food for markets as well as family consumption. In some communities, they are not allowed to own land or other agricultural assets and they have no say in any decisions on farm incomes and activities,” he said. 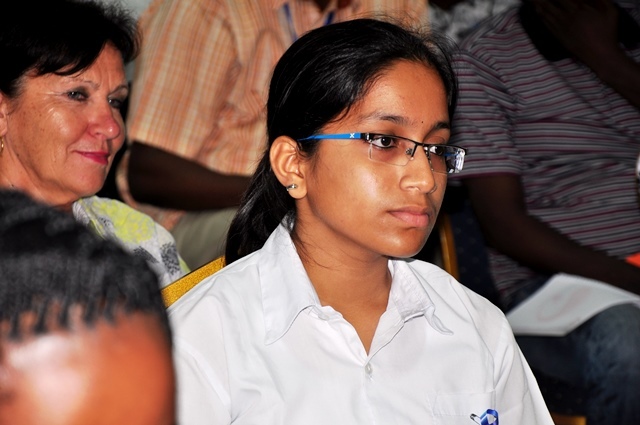 The students from nearby secondary schools invited to the event appreciated the opportunity to meet and hear from successful researchers and said they had been very inspired. 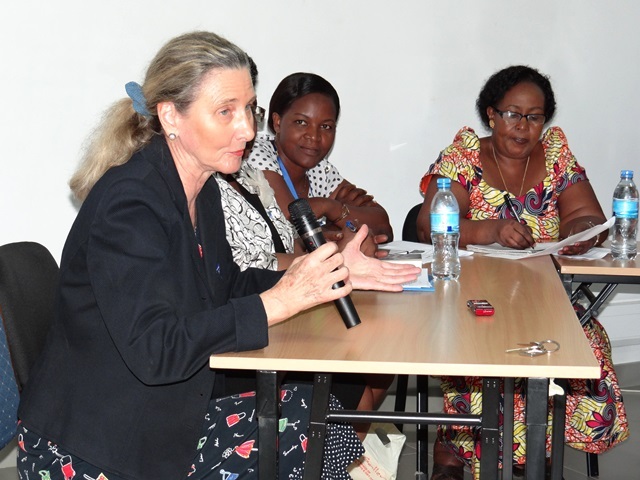 The event was declared to be successful in many ways and the participants urged IITA and its partner institutions to find ways to organize other such forums to motivate girls to take up science and encourage the young scientists starting their careers. 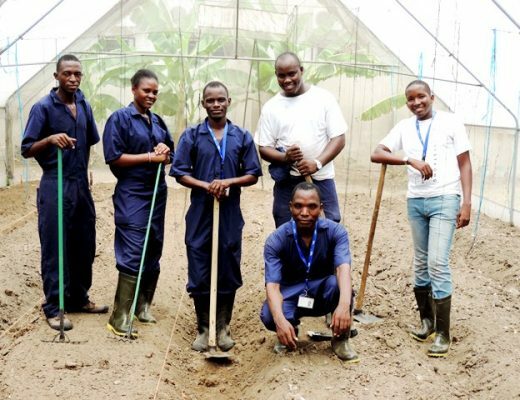 The event was organized by the IITA in collaboration with AGRA and the Institute of Development Studies (IDS) of the University of Dar es Salaam.